· What happens when dance and circus collide? Board a custom-converted double decker bus as it becomes a mobile auditorium and experience an extraordinary performance of Carmen Funebre in the Cathedral Ruins. Tickets are on-sale for the fifth edition of the Festival of Imagineers, Coventry’s annual festival of celebrating art, designing and engineering from 17 – 22 September 2018. Imagineer are pleased to announce stunning NoFit State Circus and Motionhouse collaboration BLOCK as part of the programme. A powerful fusion of dance and circus that pushes the limits of both art forms, BLOCK explores what happens when dance and circus collide. With its daring physicality, split-second timing and thrilling feats, BLOCK leaves audiences gasping. 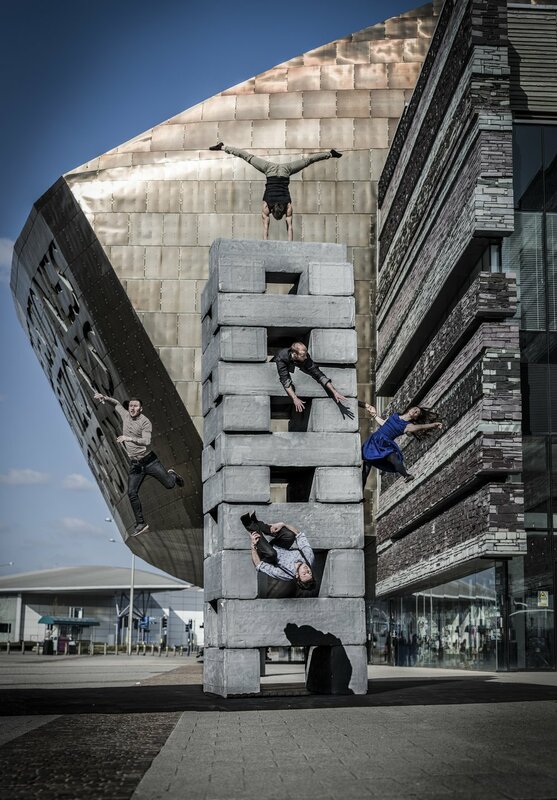 Twenty oversized blocks, fashioned to resemble giant concrete Jenga blocks, are deconstructed and reformed into an infinite variety of shapes for the performers to play on, move with and explore. BLOCK runs on 19 September only at 8pm in the Cathedral Ruins. Rear View from IOU runs from Thursday 20 until Saturday 22 September with performances throughout the day. 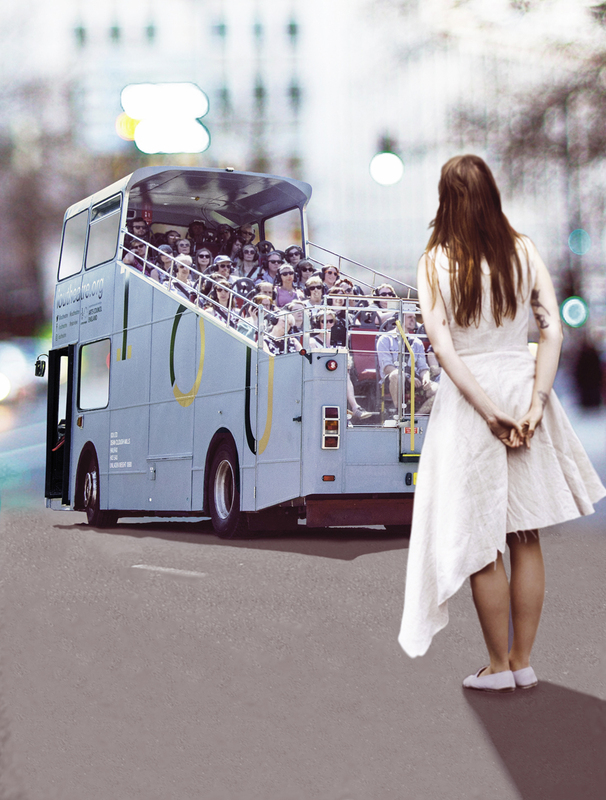 A unique interactive experience for all audiences where the streets of Coventry become part of the performance with the audience on a custom-made conversion of a double decker bus, a mobile auditorium which turns the City into a stage. Beginning in a life-drawing class, Rear View becomes a moving adventure about a woman’s life, led by performance poets Cecilia Knapp and Jemima Foxtrot. On board the Rear View bus, audiences wear positional sound headphones for a totally immersive experience, listening to the audio in real time with an imaginary soundscape blurring the line between fantasy and reality. The Festival culminates on Saturday 22 September in a celebration of Imagineer’s twenty-year collaboration with outdoor arts company, Teatr Biuro Podrozy marking the WWI commemorations with Carmen Funebre, the company’s most iconic performance which has toured almost 50 countries world-wide. Based on the company’s research with refugees from the former Yugoslavia during the brutal Bosnian conflict in the 1990’s as well as other outbreaks of nationalism and intolerance, Carmen Funebre is a visceral and brutal expose of the horrors of war. Performed in the Cathedral Ruins expect stilts, fire, searchlights, spectacular sets and bone-chilling music combine with arresting visual imagery to evoke both fear and compassion. Claire Maddocks, Creative Producer said: “We are delighted to announce BLOCK as part of our ticketed programme of events alongside Rear View and Carmen Funebre and as part of the Festival of Imagineers. These three diverse, exciting and cutting-edge performances will bring the city to life in ways we’ve not seen before and promise to create a series of memorable moments throughout the Festival week. Throughout the week and on the Festival Finale, 22 September, there are also lots of opportunities to participate in and enjoy performances, talks and exhibitions for FREE. Go behind the scenes into the creative process in venues from Daimler, Imagineer’s creative space, to spaces including The Herbert and Coventry Cathedral covering everything from art and education to Coventry’s plans as a cycle city. Walk alongside a large-scale balloon and sound installation in Broadgate, wonder at 1000 hoops suspended in the Cathedral and contribute your ideas to Imagineers’s next large-scale project – Bridge. Tickets are available via the Imagineer website www.festivalofimagineers.co.uk and are priced at £10 or £7 concessions. Festival of Imagineers is supported by Arts Council England, Coventry University, Great Places, The Paul Hamlyn Foundation, City of Culture 2021, Arup, Medwell Hyde, IDP, The Garfield Weston Foundation, The Premier Group, Ramada and Coventry BID.